Enter for a chance to win a VIP experience for you and a friend to Cal Jam 18 music festival hosted by Foo Fighters. Complete the form below, design a tank and share it on Instagram. We'll pick one winner to get a 2018 Harley-Davidson® motorcycle with their design on the tank. 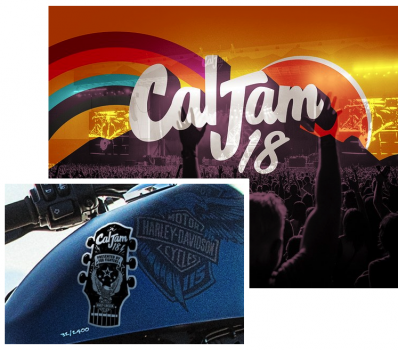 Just for completing the form we'll send you an exclusive Cal Jam 18, Foo Fighters, and Harley-Davidson® sticker. One sticker per person. While supplies last.